Parents can take some basic steps to ensure children are not exposed to lead in the home. Regularly wet-mop floors and wet-wipe window components. Household dust is a major source of lead exposure, especially where lead paint has been used in the past. You should therefore wet-mop floors and wet-wipe windowsills and other horizontal surfaces every 2-3 weeks. These surfaces should be kept clean. Take off shoes when entering the house to prevent bringing in lead-contaminated soil from outside. Repair chipping or peeling paint on painted surfaces, and ensure that this is done in a way that does not disperse paint chips or paint dust. 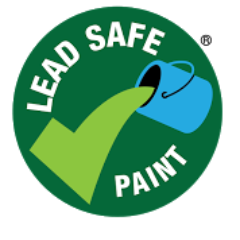 Any renovation efforts where lead paint is present should only be undertaken by qualified painters who take every precaution to avoid dispersing lead chips and lead dust, and who carefully clean up at the end of the job. Children and pregnant women should not and should not be present in housing undergoing renovation, nor participate in activities that disturb old paint or in cleaning up paint debris after renovation work is completed. Regularly wash children’s hands and toys. Hands and toys can become contaminated from house-hold dust or exterior soil. Both are known lead sources. If possible, prevent children from playing in bare soil that may have been contaminated with lead.